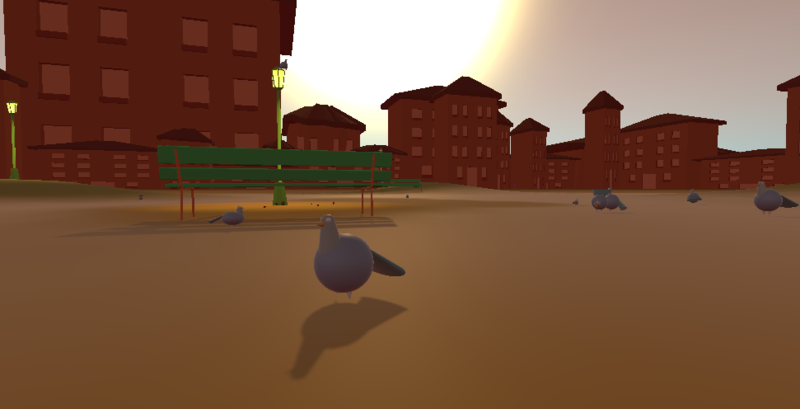 Welcome in PigeonVR! You are going to be amongst the pigeon, see they wonderfull daily routine : to eat crumble (and roll)! 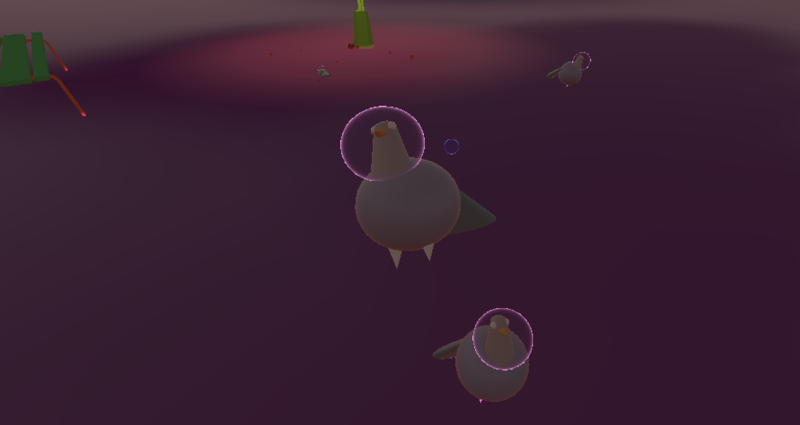 Try to eat crumble like a pigeon will do : move your head quickly from backward to forward when you have a crumble under your target ! I wonder what happen if you eat too much...? This is a 0 button game (except for the "escape" to quit the game) made for the Ludum Dare 43. All asset are done by myself with the exception of one skybox made by Xygen8 ( link : I just change the color to fit the atmosphere I wanted) and two plug-in for the VR in Unity ; VRTK ( https://vrtoolkit.readme.io/ ) and Steam VR. It's my first try on a VR game + doing all 3D asset by myself, so I put the code to the last moment and only focus and these parts. That's why the game is very short and I totally miss the theme.